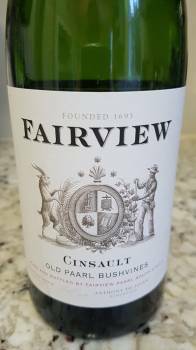 And now Fairview also comes to the Cinsaut/Cinsault party with this 2016 from Paarl vineyards over 30 years in age, winemaking involving fermentation in open-top oak fermenters, 20% whole bunch before 10 months of maturation in third- and fourth-fill barrels. On the nose, a hint of lavender before black cherry, earth and spice. The palate is relatively full with moderate acidity and soft tannins. Absolutely delicious as so many examples of this variety are proving to be. Price: R115 a bottle.